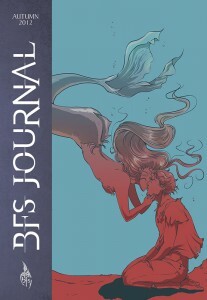 If you are a member of the BFS you should by now have received (or shortly be receiving) the latest BFS Journal (Autumn 2012). 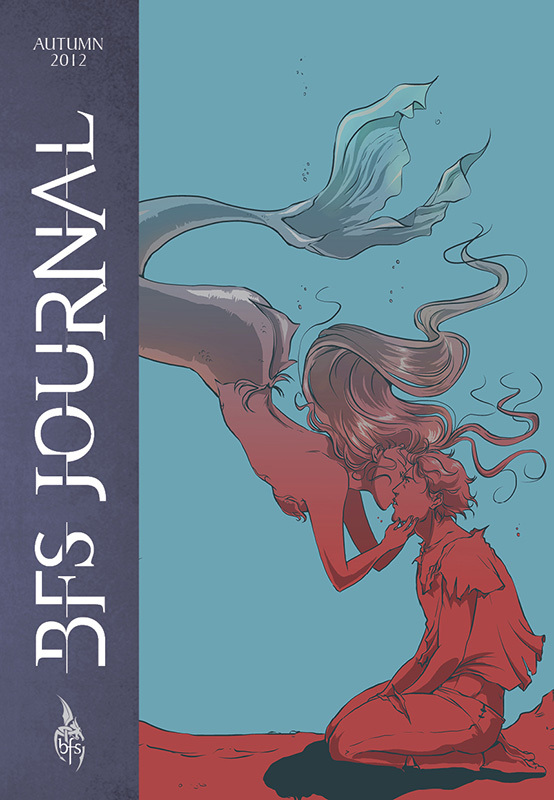 The Journal contains new fiction and poetry by: Christopher Golden, Gary Fry, Peter Crowther, Allen Ashley, Terry Grimwood and others. This issue also includes interviews with Nina Allan, Rhys Hughes, David A. Sutton and graphic artist Emma Vieceli (who also provides the amazing cover art for this issue of the Journal). Together with regular and one-off features by Mark Morris, Ramsey Campbell, Garry Kilworth (on crafting the short story) and Editorial Director of Gollancz Gillian Redfearn among others, this issue is jam-packed full of interesting content.